You might be familiar with some obscure winter sports, having tuned into enough Winter Olympics to retain a few sound bites about curling or skeleton racing. That doesn’t mean you’re familiar with skijoring. Skijoring comes from the Norwegian skikjøring, or “ski driving.” Basically, you’re standing on cross-country skis, holding a rope, the other end of which is attached to -- wait for it -- a dog, a couple of dogs, or a horse. 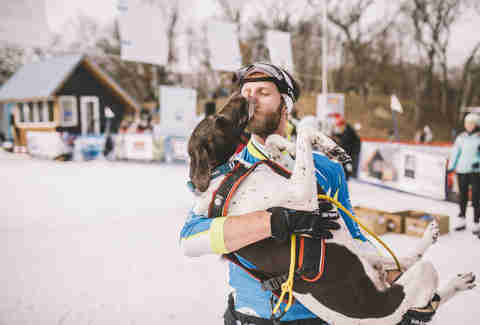 According to Nancy Knutson, director of marketing and communications for the American Birkebeiner Ski Foundation, skijoring has been around for centuries, going back to a time when animals and skis were both commonly used for basic transportation. Is skijoring a thing in the US? Competitive skijoring is very real and serious, and the sport’s been at least a fringe activity in the US for the last 100 years. It’s never quite broken into the mainstream, but you can watch skijoring races at family-friendly festivals like the Great Northern. In recent years, winter getaway travel destinations have also added skijoring to their offerings. Horse-skijoring can involve either a second person riding the horse, or in some cases the skijorer going it alone. Whitefish, Montana, hosts the annual World Championship each January. Wait, I can skijor with my own dog? We now turn to the question everyone is itching to ask -- the answer is yes. Those of you wishing to BYOD will need a pup weighing at least 30lbs (preferably 35), at least one year old, and generally healthy. You yourself should be at least somewhat comfortable on cross-country skis. You can check out a breakdown of the standard equipment here. “If heading out on your own, look for dog-friendly parks with multi-use trails or trails that have not already been groomed specifically for cross-country skiers,” Knutson advises. And for everyone else who wants to take the guesswork and/or animal ownership out of the equation, you can try one of these. Equestrian skijoring is a bit more prevalent in Montana than it is most other places in the country. No matter their skill level, guests at Triple Creek -- near Montana’s Western border -- can try skijoring behind a horse as one of the ranch’s all-inclusive activities (so, no extra charge if you’re already there). This resort recently introduced skijoring to its guests, boasting a trail specifically designed for competitive training, resembling an obstacle course of sorts. Guests ages 12 and up can try an hour and a half of equestrian skijoring for $200. For those of you wanting to try skijoring with a dog (yours) rather than a horse (any), this ranch will rent you doggy-skijoring equipment for $20, plus regular clinics you can take to improve your skills. Enjoy the many miles of trails nestled around the base of Colorado’s Continental Divide. 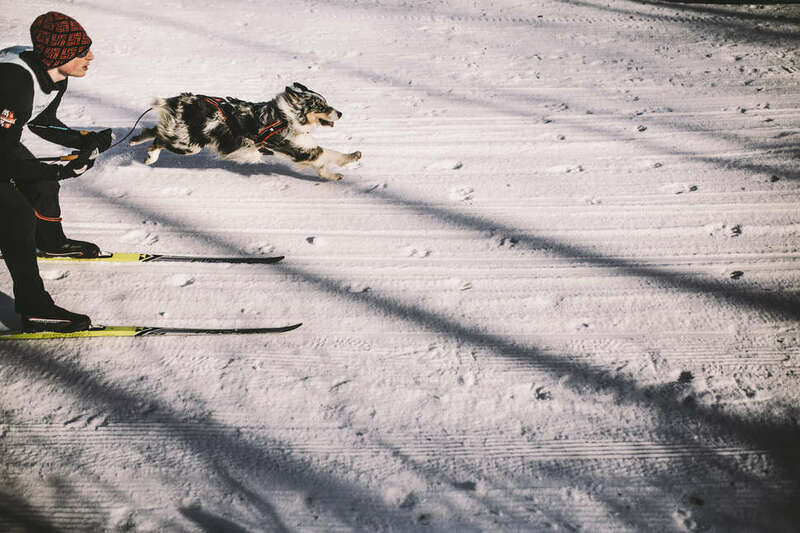 If you can provide your own skis and dog, expert skijorer Torrey Swanson will lead you in an introductory session (free; don’t need the dog yet) followed by a session out on the snow ($40; you may fetch your dog now).